Allison and Derek met years ago in their Georgia hometown. But, at the time, they both had relationships and were on the verge of marriage. The couple married and went their separate ways. Years later, both divorced, attraction reignited. Allison’s bridesmaid, Erin, reunited the two. Sparks flew. And, a relationship begun in earnest. 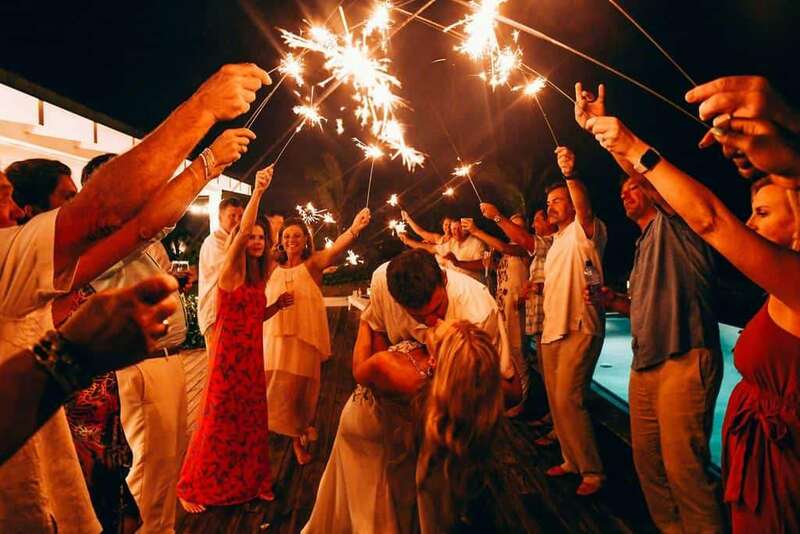 What’s more, friends invited the couple on an Exuma holiday at The Salt House Exuma in 2018. However, both Allison and Derek were not available; they could not partake. 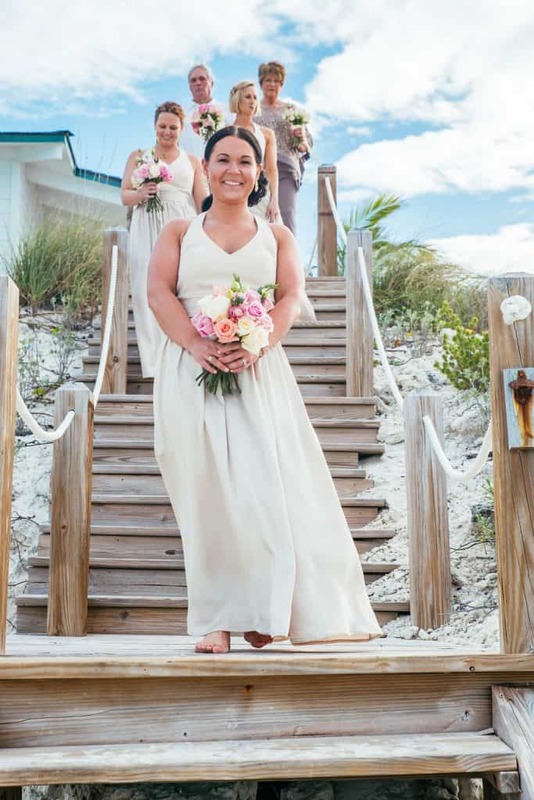 So, they decided that The Salt House was THE venue for their intimate Exuma wedding. This lovely couple contacted me by phone. We chatted. Consequently, I learned more about their needs, vision and style. 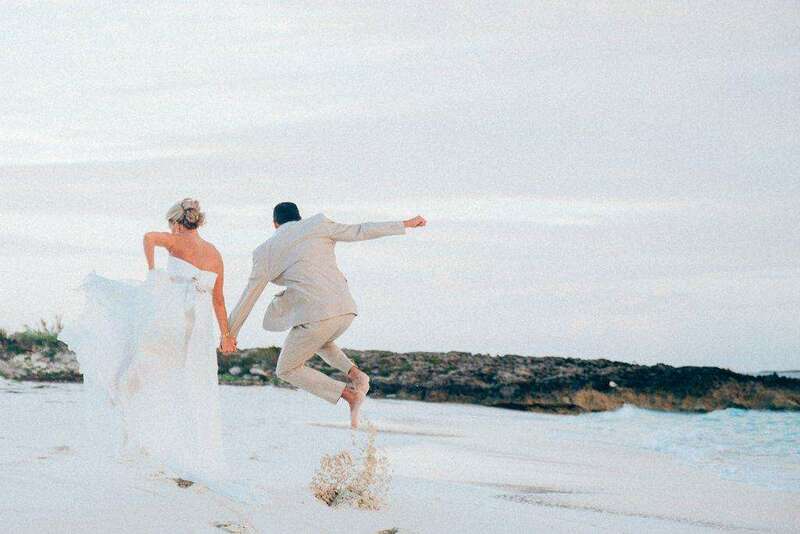 A wedding on the Exumas was it! Allison forewarned me that the group was tight knit and fun-loving. And, indeed they were! A wedding date of Sunday, March 3, 2019 was set. 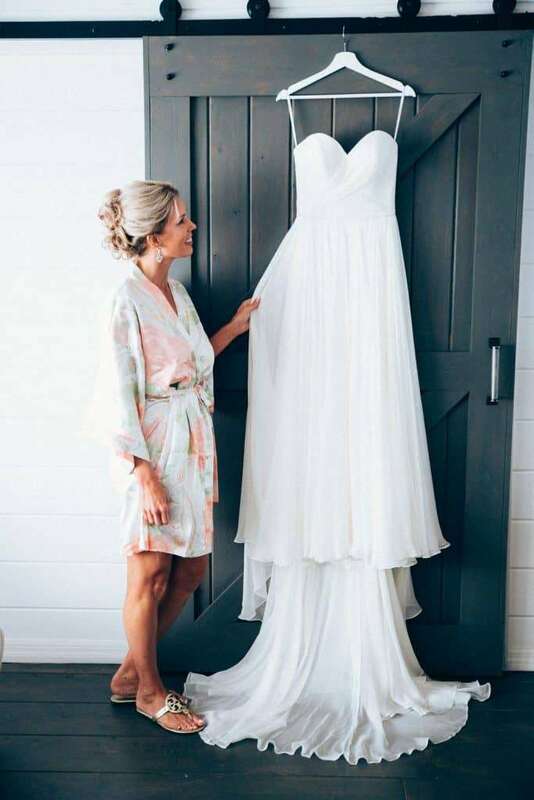 The couple chose a beach side ceremony followed by a relaxed buffet dinner and dancing poolside deck. 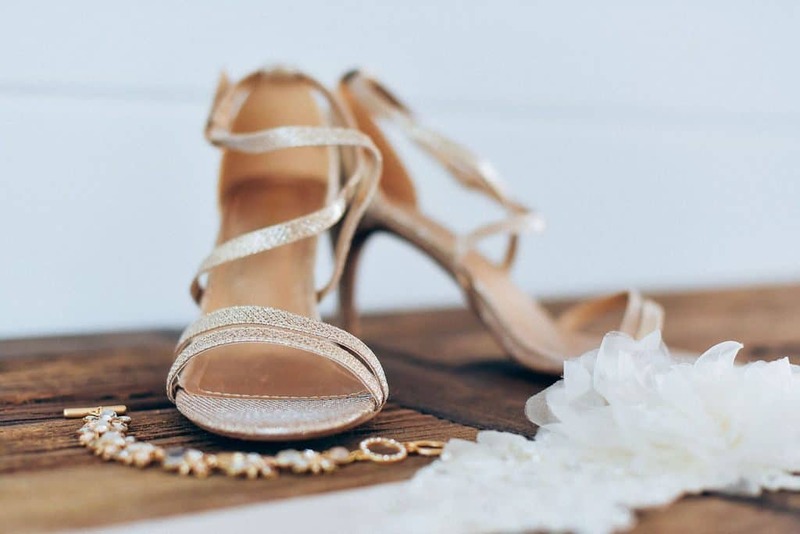 On wedding day, so many special and emotional situations occurred. Double rainbows popped out. Truly, Derek’s deceased mother was present to bless the day. The Bahamian Conch Chowder reminded the groom about a soup his dear mother made. Allison and Derek tied the knot at a late afternoon wedding. Emotions ran high. Groomsman, Jerome, and bridesmaid, Erin, read blessings. Knots were tied in Irish fashion on the couple’s wrists. Erin knotted them all. Of course, the spectacular rainbow brought added photography opportunities. The group happily moved from ceremony to the poolside Cocktail Hour. Just prior to Cocktail Hour end, a rain shower forced the group to move to dinner under cover. Guests enjoyed a scrumptious buffet. Dancing followed. Allison and her father’s dance stole the show! Additionally, the bridal party and guests joined in. 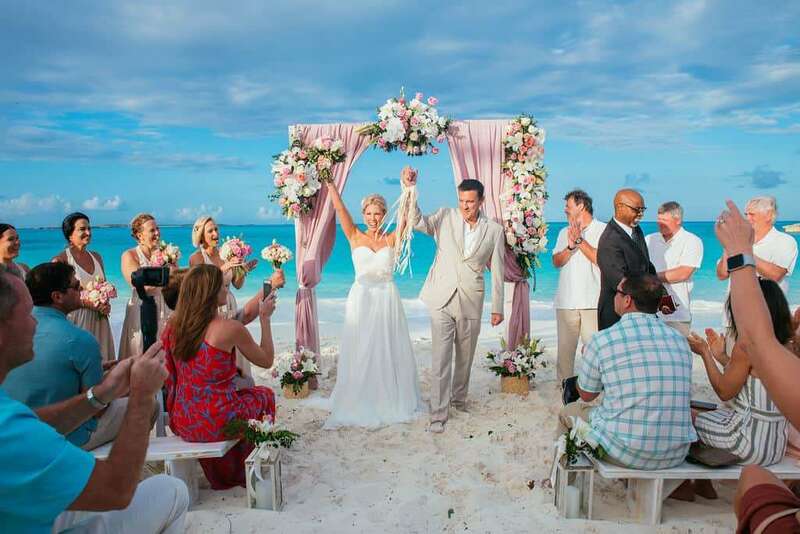 In short, weddings in the Exumas are swell! 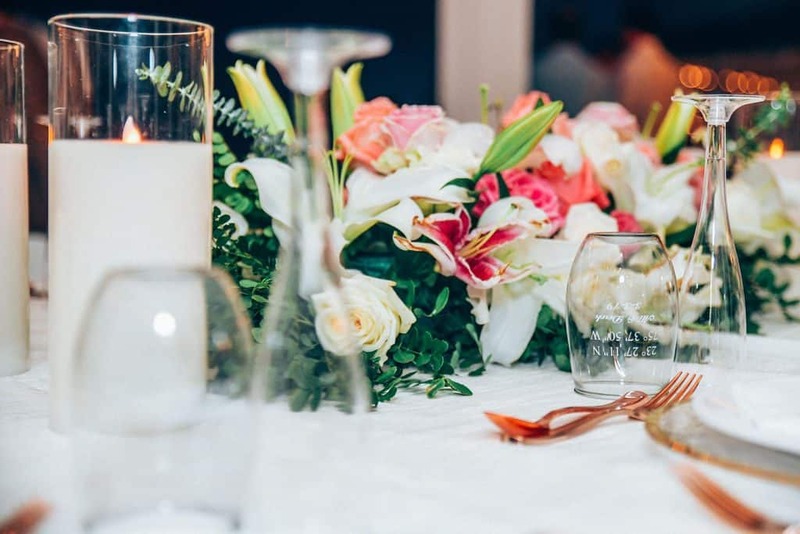 Contact us today to play your special day! 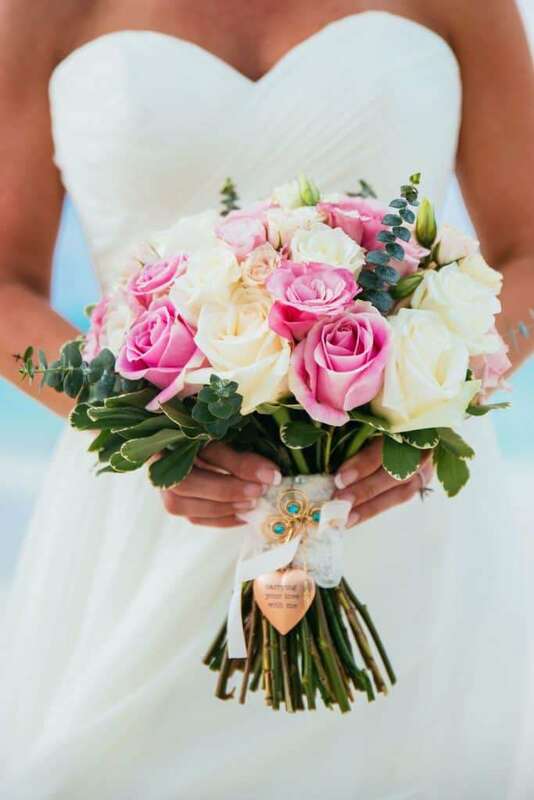 Contact Chic Bahamas Weddings today to plan Weddings in the Exumas!